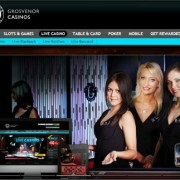 Next time you open your favourite Evolution Gaming casino and click the Live Baccarat button in virtual lobby you might be see something a little different. 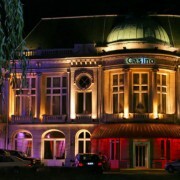 Along side the familiar red (VIP) and green (standard) baccarat tables, are 3 new tables: Baccarat A, Baccarat B and Baccarat Squeeze. 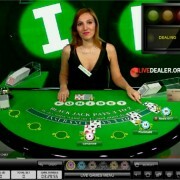 Evolution’s new baccarat tables launched yesterday. 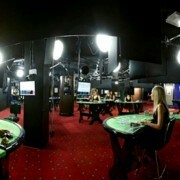 Same rules, bets and payouts as the older tables but with a swanky new look, and captured via multiple camera angles. The Baccarat Squeeze table, as it’s name suggests, also captures a card peek / squeeze (ala the recently launched William Hill Macau baccarat squeeze table). All players get to view the card peek (not just the highest staking player on that position). 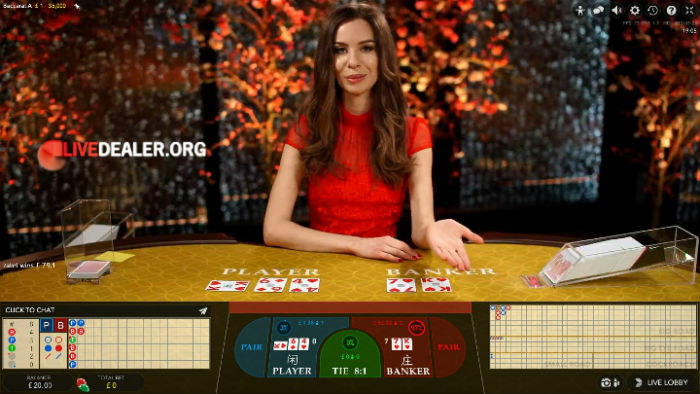 Cards dealt to the either the Banker or Player (not both) positions are squeezed and cumulative bets determine whether the Banker cards or Player cards are squeezed. If more chips are on a Banker win…Banker cards will be squeezed, and visa versa. If a slow card reveal doesn’t do much for you and you’d prefer a faster game, this table may not be for you. There’a an unmistakable Asian flavour to the new baccarat tables and their surrounds. Lots of red, even more gold and bet positions are marked with Chinese characters. Can you spot the 8 golden monkeys hiding in the drapery? 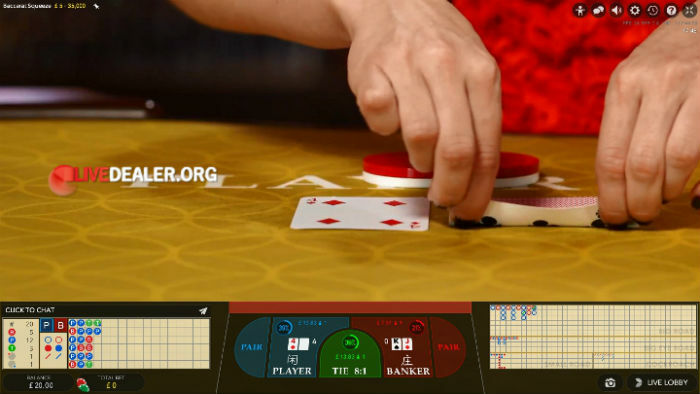 The UI offers more complete baccarat roadmap presentation to the older Evolution baccarat games, for players believing this is more a game of skill than luck. 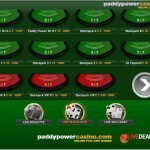 Right now you can play these new look tables at Unibet live casino. 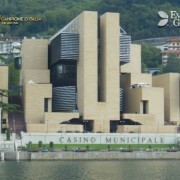 Given they are generic tables (as opposed to private casino) they will no doubt become available at more Evolution Gaming powered casinos as the year rolls on.